More expensive adidas from Raf. Adidas' steady stream of collaborations with fashion designs continues this fall with more shoes from celebrated Belgian designer Raf Simons. This time around he introduces a few new silhouettes, one of them being the Stan Smith Comfort here. 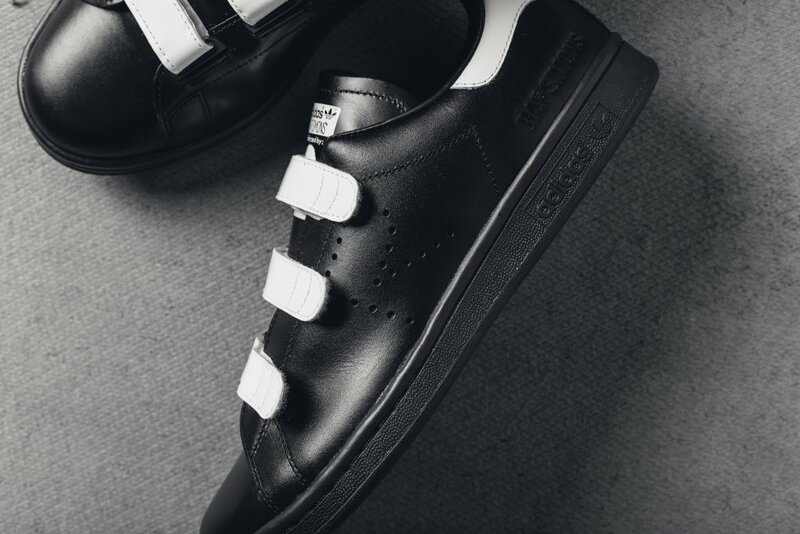 The shoe uses straps instead of traditional laces and replaces the perforated stripes on the side with an R. The latter has been spotted elsewhere on Raf Stan Smiths, while these specific straps are new to the shoe this season. 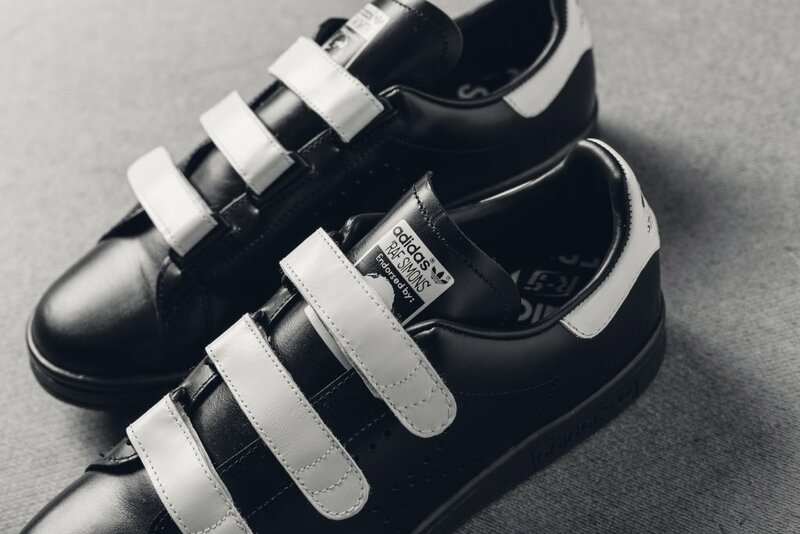 That being said, one of the earlier Raf Stan Smiths had a different strap set up. These sneakers fetch quite a bit more than regular Stans at $410. That being said, it's likely they will go on sale like most of the rest of the Raf Stans out there. Those who don't want to wait can grab pairs now from Feature Las Vegas.